Sherilyn Tuck was born and raised in Melbourne before moving to Cobram-Barooga at the age of 10. After completing her VCE at Cobram Secondary College, Sherilyn moved back to Melbourne to commence her working life as an Assistant to two barristers, one being a Senior Counsel and the other a Queen’s Counsel. 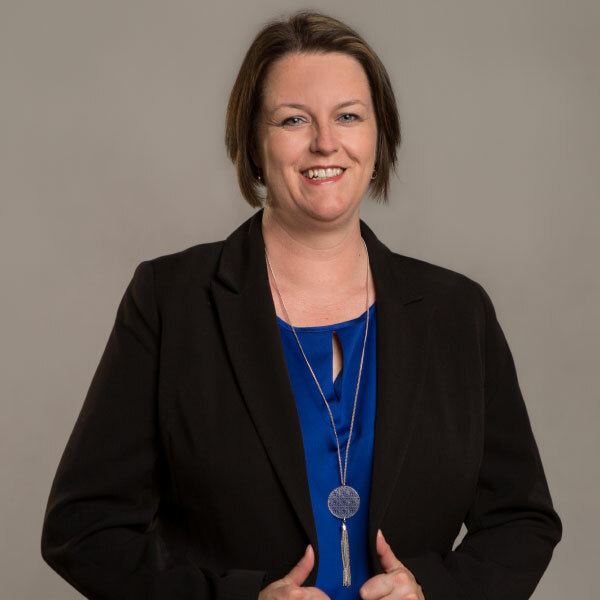 She then began working as a Legal Assistant and Probate Law Clerk for Slater &amp; Gordon and the Dispute Resolution Department for the ANZ Bank, focusing on Commercial Litigation and Wills, Probate &amp; Estate. After moving to Ballarat, Sherilyn worked as a Conveyancing Assistant at Baird &amp; McGregor before joining Casa Conveyancing in 2017. Sherilyn is empathetic to her clients throughout the buying and selling process, and understands that this can be a very stressful time. Sherilyn will always take the time to ensure that the transaction runs as smoothly as possible. She is reliable, diligent and dedicated to her work. Sherilyn is married to Steve and together they have two beautiful boys, Jacob and Dylan. Sherilyn is a keen golfer having taken up the sport while living in Barooga at her parent’s motel near the Cobram-Barooga Golf Course. These days she doesn’t get to play as much as she would like, but it remains a passion! Sherilyn loves to spend time with her family, enjoying the outdoors and catching up with friends and family. Can we assist you with your conveyancing needs?